Acer has unveiled several new Android-based devices that will be on display at this year’s Consumer Electronics Show in Las Vegas. In particular, the company announced the debut of two new tablets. The Iconia A1-830 is a 7.9-inch tablet available for $179.99 in the US and $199.99 in Canada, while the Iconia B1-720 model is a 7-inch tablet available for $129.99 in both the US and Canada. Both come with Android 4.2.1 Jelly Bean. 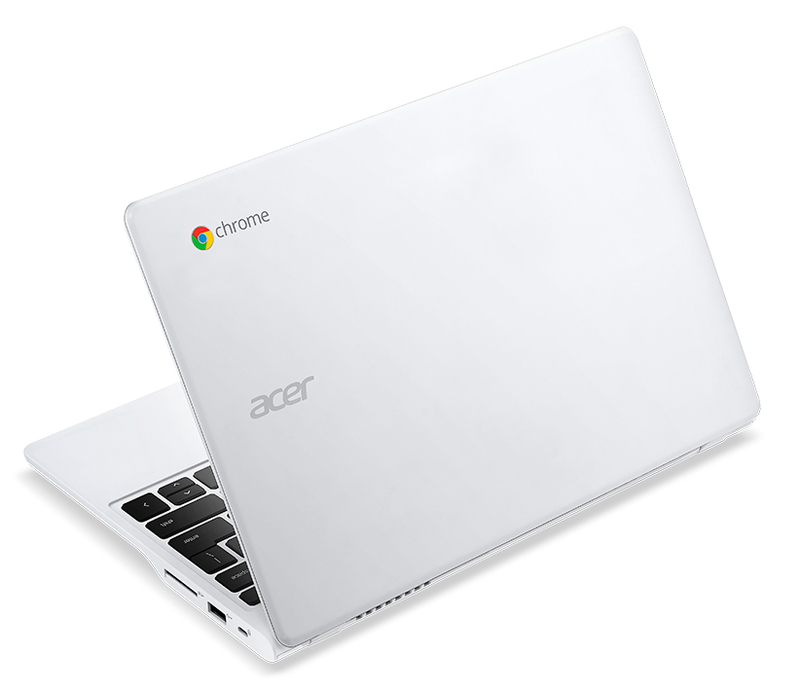 Acer has also released a refresh of its touchscreen Chromebook version of the C720P-2600, making it available in Moonshot White. It’ll be on sale next week for $299.99 in the US. 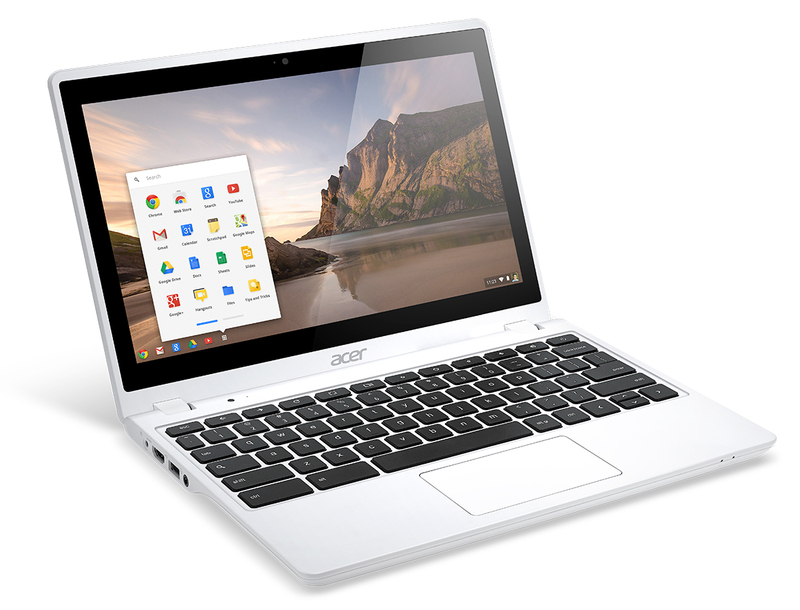 The C720 touchscreen Chromebook series is nothing new to Acer customers — it was announced in early December. This C720P-2600 configuration includes many of the same specs as its sibling model, such as being powered by an Intel Celeron 2955U processor based on Intel Haswell micro-architecture, a battery life that is estimated to last 7.5 hours, 32GB SSD, 802.11 a/b/g/n WiFi, and a integrated HD webcam. New to this model is the inclusion of a white chassis and 2GB of DDR3 memory. Like the one announced previously, this is a touchscreen device with a 1366×768 resolution. Customers who purchase this Chromebook will receive 12 free Gogo in-air Internet passes and 100GB of free Google Drive storage for the first two years. 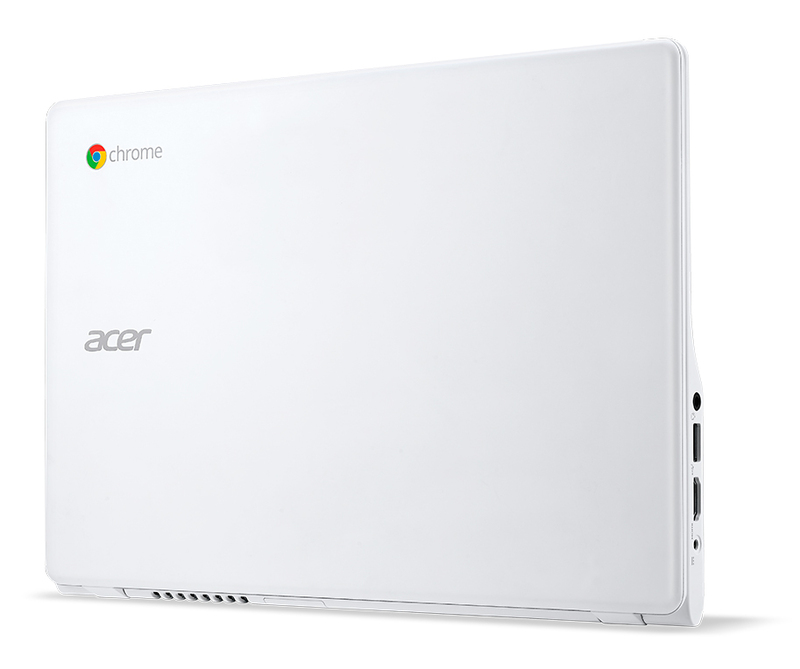 This is the latest series of C720P Chromebooks that Acer has unveiled. Other versions include one tailored towards those who are budget-conscious. 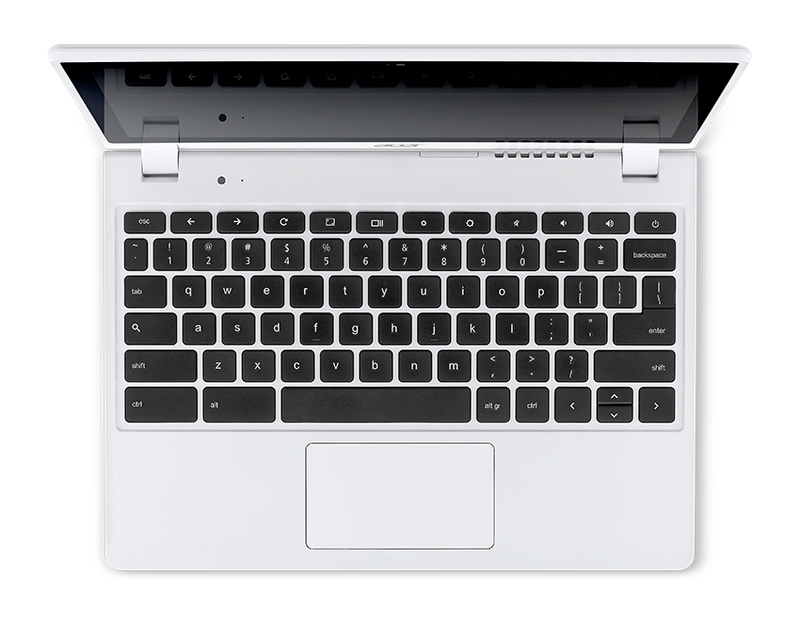 You can pick up the Moonshot White C720-2600 Chromebook for $299.99 at participating retailers starting next week in the US. 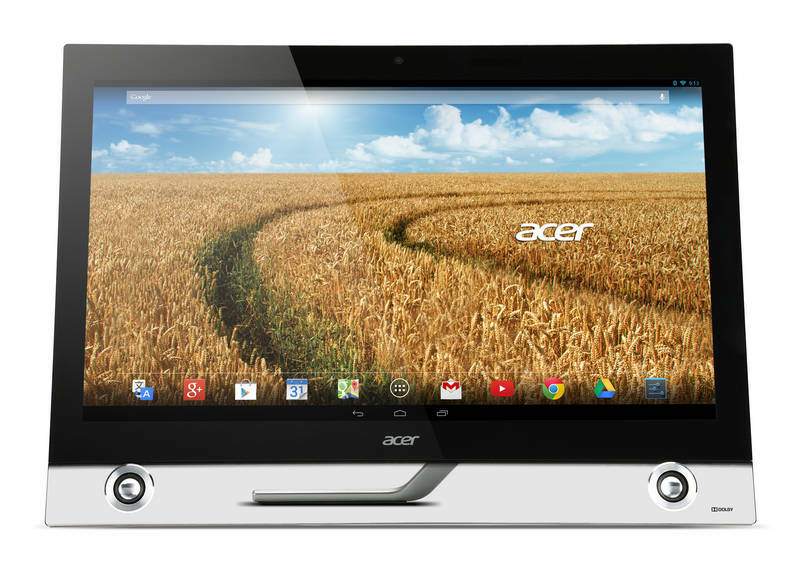 Two other devices making their public debut this week include Acer’s Iconia A1-830 and B1-720 Android tablets. The tablets are differentiated by their prices — one is being marketed as a premium device, while the other is for those who don’t want to break the bank. Let’s start off with the Iconia A1-830 model: it’s a 7.9-inch Android tablet that comes installed with Android 4.2.1 Jelly Bean, 16GB of storage (which can be expanded to 32GB), 1GB of onboard LPDDR2 SDRAM and is powered by an Intel Atom Z2560 1.6GHz processor. The company estimates that it has a 7.5 hour battery life. What makes this a more upscale version is its so-called “stylish, premium design”. The cost: $179.99 in the US and $199.99 in Canada. Other interesting statistics about this model is that it has a rear-facing camera that captures 1080p HD quality recordings with a 2560×1920 resolution. There’s also a front-facing 720p camera with a 1600×1200 resolution. The device weighs just 0.84 pounds and is 0.32 inches thin. MicroUSB and Bluetooth 3.0 are supported as well. Does it rival the Nexus 7 or Samsung’s Galaxy Tab 3? Based on specifications alone, it depends. The A1-830 seems to beat out the Galaxy Tab 3 in terms of memory, operating system, processor, screen resolution, and price, but when it came to the Nexus 7, Acer’s model came second when looking at the resolution, memory, processor, and operating system. The A1-830 is much cheaper than the $229.99 price tag for the Nexus 7 though. 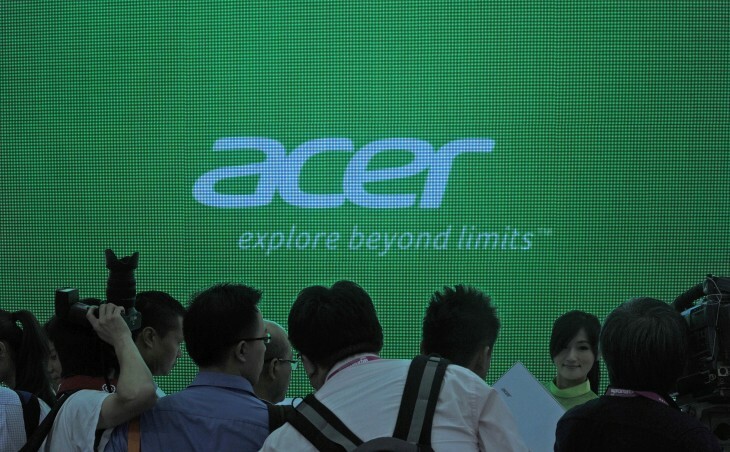 Consumers interested in buying the Acer Iconia A1-830 can find it in stores later this quarter. For those that are more budget-conscious, Acer is also introducing its Iconia B1-720 Android tablet for $129. It’s a 7-inch device with a 10-point touch display that is encased in a slim bezel and utilizes One Glass Solution technology. Equipped with a 1.3GHz dual-core processor, 16GB storage, and 1GB of memory with up to 5 hours of battery life, the tablet also runs on Android 4.2.1 Jelly Bean. It’s a WiFi-only device. While not as powerful as the A1-830 model, this tablet is more for those who want to have something to read with or play games on, perhaps to rival Amazon’s Kindle and other similar Android devices. Acer’s Iconia B1-720 tablet will be available by mid-January and sold in the US and Canada. It also comes in two colors: grey and red. Acer also launched an Android all-in-one desktop today, the Acer TA272 HUL, giving users access to Android apps on a big screen. The desktop boasts a 27-inch display with an ultra-high 2560×1440 resolution — apparently four times sharper than HD — and offers wide-viewing angles as well as a 10-point touchscreen for controlling apps and widgets. It runs Android 4.2 Jellybean and is powered by a NVIDIA Tegra quad-core processor with 16GB internal memory. The Acer TA272 HUL is going for a suggested retail price of $1,099 and is already shipping worldwide right now.